There was a time when absolutely nothing could convince me to eat tomato soup. The soup just ruined the crackers as far as I was concerned. Red mystery substance that tasted like…not tomatoes? 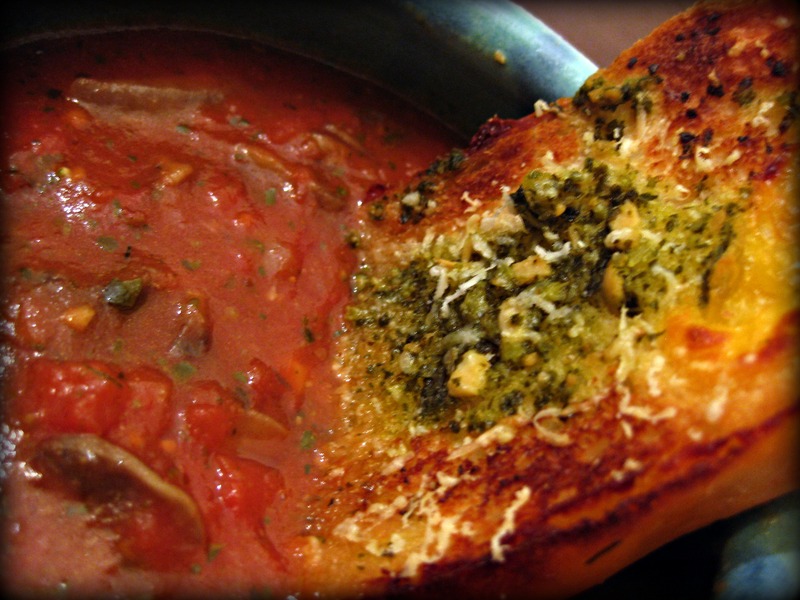 For those of you who swear by canned tomato soup…let me convert you. I’m amazed by how easy this is. 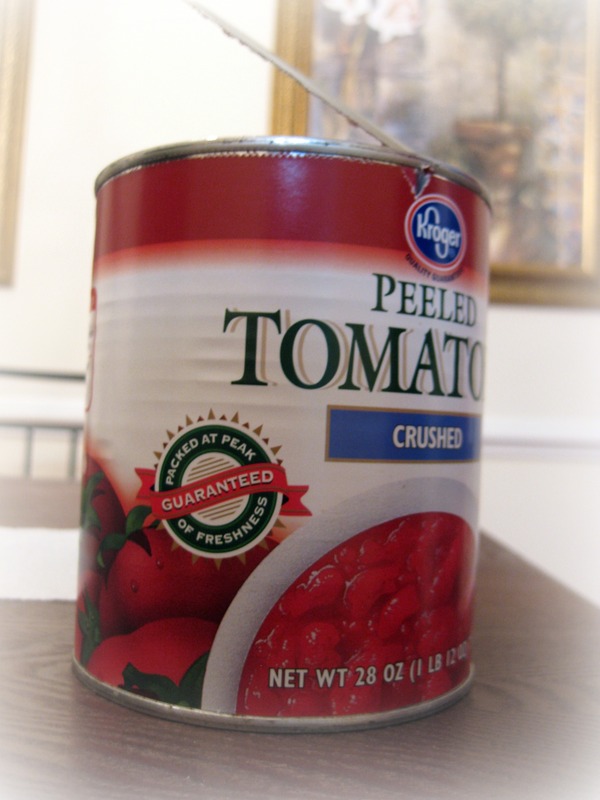 Do you have a can of crushed tomatoes in your pantry? If you do, then you ALSO have tomato soup! Soup from a can that says crushed tomatoes is WAY better than the stuff from the can that says tomato soup. 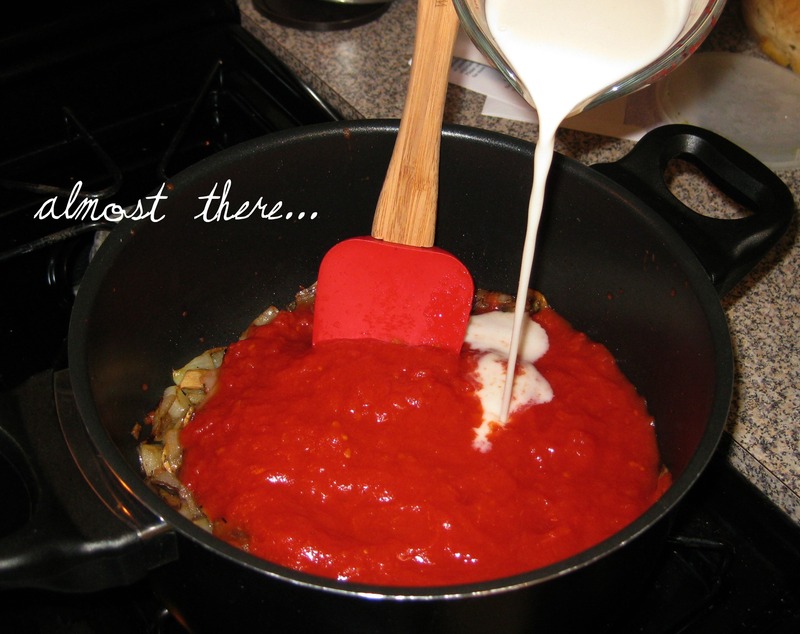 Plus people will think you’re fancy because you MADE tomato soup. 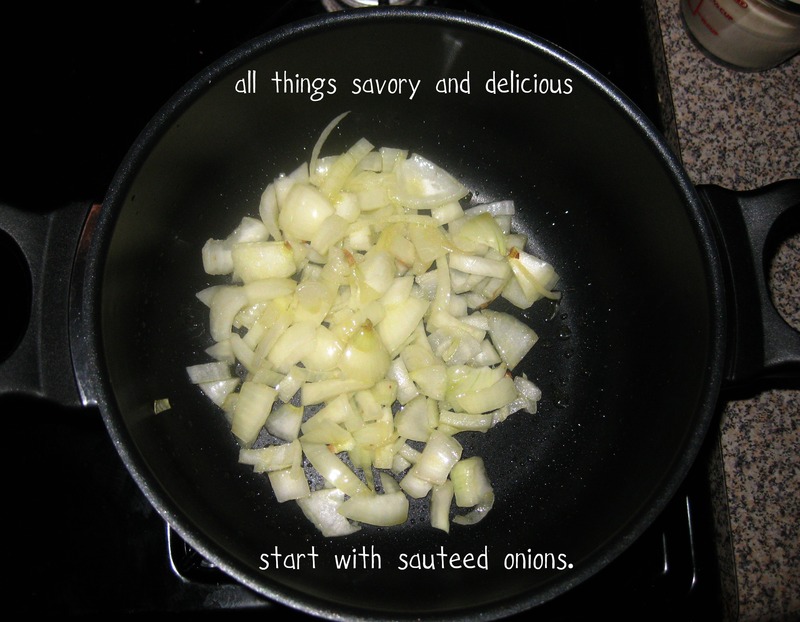 I won’t tell if you won’t….there’s nothing fancy/difficult/gourmet about this. So! Time me. Ready. Set. GO! Throw in a little thyme while you’re at it! 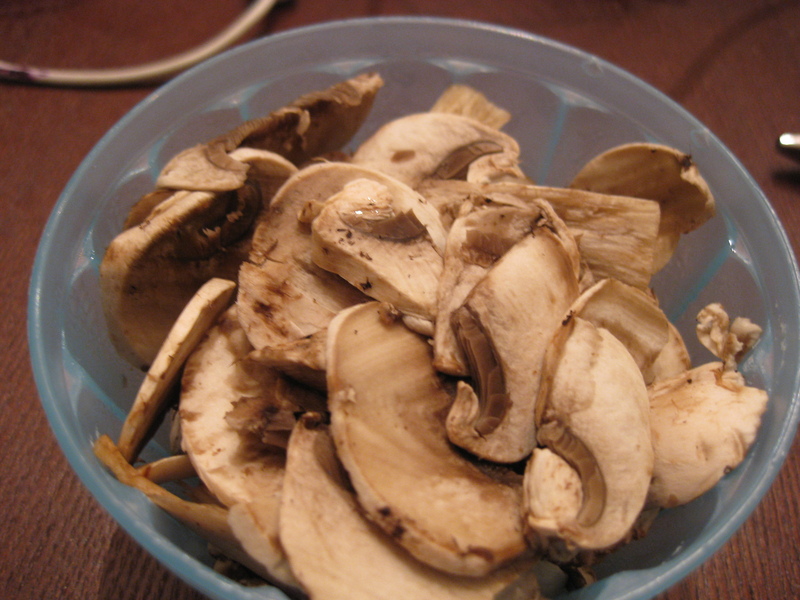 I had some mushrooms leftover and decided that would be good too. That’s happening every time now. Then all you do is stir in some pesto and let it heat through. 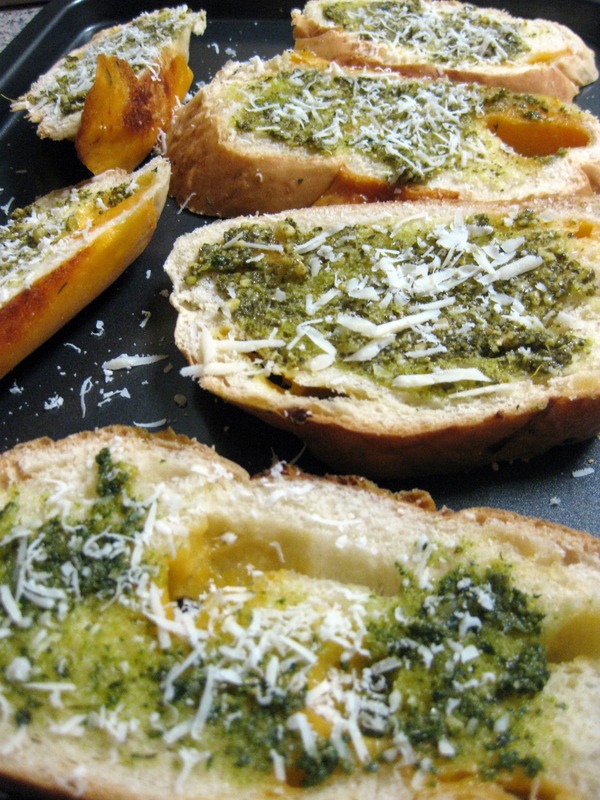 Even awesome-er with hunks of bread spread with a bit of pesto, topped with Parmesan cheese, and broiled. Look at those chunks of mushroom, onion and tomato! That DEFINITELY tastes like tomato. And it only took you like half an hour if you’re slow!! Suddenly it’s warm in here. Special thanks to our guest photographer! The one and only Daniel. Thanks for the action shots! I’ve always hated tomato soup. I’ll definitely have to try this! Ellen FYI I’m trying this out tonight as an appetizer. Thought you’d like to know haha. hopefully it’s really as easy as it looks! Yessss! How did it go! ?